Fremont, California – May 30, 2017 – Unitek College welcomes two accomplished education professionals to their leadership team: Dr. Abdel Yosef as Chief Academic Officer and Dr. Louise Timmer as Associate Dean. Dr. Abdel Yosef, a distinguished professional with over a decade of proven performance as Vice President and Academic Dean, has been promoted to Chief Academic Officer at Unitek College. As a Nurse Educator, certified by the National League for Nursing, Dr. Yosef was an award-winning instructor based on student evaluations. His years of experience in regional and national accreditation, Higher Education, Board of Registered Nursing Regulations and Vocational Nursing Regulations and CCNE accreditation will enhance the quality of Unitek’s education programs and continue our goal of excellence in Clinical Partner Relations. In other roles, Dr. Yosef has served as President of California Career Institute and Lead Faculty and Course Content Expert at California State University. Yosef earned his BSN from Jordan University of Science and Technology, his Master of Science in Nursing from Georgetown University, and his PhD in Nursing Education from University of San Diego. Dr. Louise Timmer has been a prominent nursing educator and leader for over thirty years. Most recently she was Campus College Chairperson for the University of Phoenix BSN and MSN nursing programs. Prior to that, she served as Chief Academic Officer at the College of Medical Aesthetics. For over twenty-five years, she was a nursing professor at California State University where she was also Director of the LVN to RN Associate Degree Program. She has also served as President of the American Nurses Association of California for five years. Dr. Timmer is a dynamic public speaker and has been a presenter at national and international nursing conferences. She earned her nursing diploma at University of Southern California, her MSN at The Catholic University of America, and her EdD in Education and Nursing at University of San Francisco. 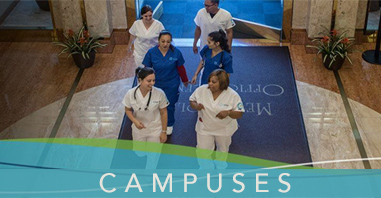 Unitek College is one California’s leading healthcare and nursing colleges, offering a wide range of certificate and degree programs. Taught by current experts, Unitek programs teach the best-practice clinical technique and theory used in the field today. 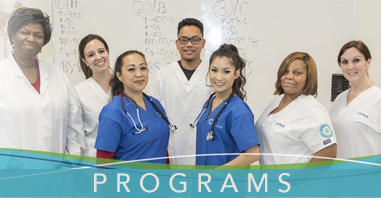 Equipped with a mastery of sought-after skills, Unitek College graduates are prepared to excel in many of the fastest-growing careers in healthcare and nursing. Unitek College also offers one of the most respected IT certification programs for computer and network support technicians.